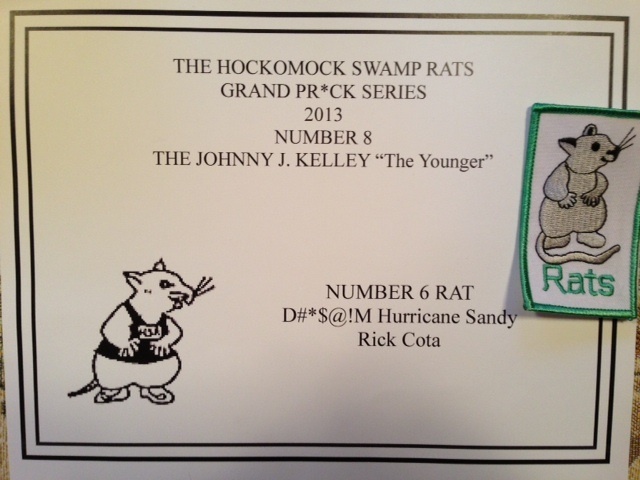 There are now two NRA members who have completed and placed very highly in a Hockomock Swamp Rat’s once-every-three-years “Grand Pr*cks Series” (GPS). The GPS is a year-long series of classic, challenging New England Races that takes a participant to all corners of New England (and sometimes beyond). There are 20+ races in all, from 5K to marathon. Come out this Thursday (8/22/13) to meet Rick (and his very understanding wife) and hear about this great accomplishment. 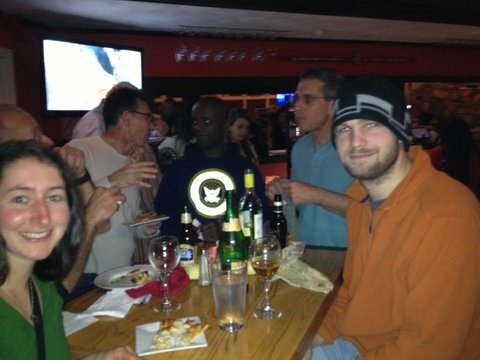 These are from the 2013 NRA winter party, which occurred at the Bike Stop Cafe in Narragansett. 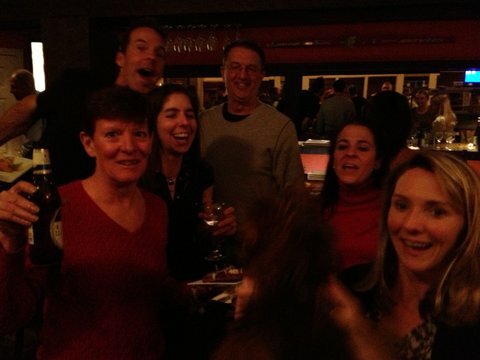 Murray, Ann, and the Newport crew really spiced things up by organizing and executing a great raffle. 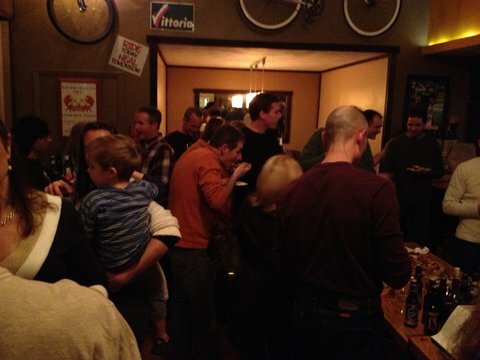 Plenty of people showed up and the food and drink (BYOB) was great. 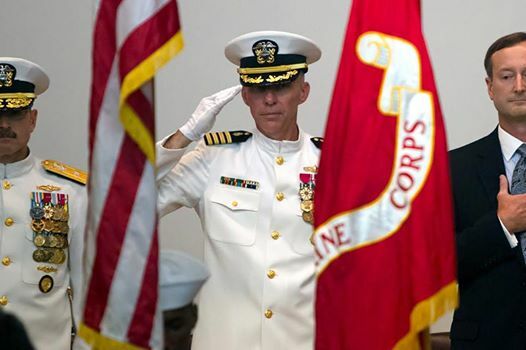 For 26 years, he stood the watch.